Home Description: 332 acres. Private wildlife preserve with close proximity to Franklin & Leipers Fork. Springs and creeks throughout. Mature hardwood trees. Secluded cottage with new roof in 2018, hardwood floors, stone fireplace, screened porch and central HVAC. Home Description: Commanding panoramic VIEWS! 46 acres.Epicenter of 'in-town' equestrian activity.1500 ft River Frontage.Expansive 10,000 sq.ft. 'Hampton's Style' brick Main Residence.Retreat to Guest/Bluff house. 'Pool House',Screened Porch,Outbuildings. Home Description: Custom New American Farmhouse w/ exquisite upgrades. Property features 88 acres and 2 turnkey homes w/ 1 mile of river front property. See media for details and disclosures. Truly 1 of a kind opportunity in Leiper's Fork. Overnight notice and proof of funds to show. Main House 8257 sq. ft. under roof. Cedar Shake, brick & fiber cement board const. Home Description: Once-in-a-lifetime opportunity to own one of Franklin's most prestigious & storied properties. Breathtaking views from every room. Special design details, antiques and upgraded features throughout. Guest apartment over the garage, separate guest house and barn plus unbelievable acreage make this property unique! Home Description: 565 & 603 Jordan Rd selling as one parcel. You won't find a better location for development or to build your dream home. Many great building sites with privacy. There are two homes on the property. Home Description: Exceptional gated private hilltop home on 48 acres. Beautiful views from every room in Main House. Pool and spa. Guest house with sauna. Horse barn with riding and hiking trails. Sport court. Detached garage with large private office upstairs. Home Description: 7.23 acres on Wilson Pike. Remodel or tear down and build your dream home. Home Description: Exquisite built custom home. Privately gated, 16+ acres located in the prestigious Old Natchez Trace location in Williamson County. Newly renovated kitchen & hardwoods, theater, gym, spa, wine room, music room, putting green, resort style pool & hot tub. This estate home has it all- a MUST SEE! Home Description: This beautiful, custom-built, modern farmhouse sits on 20 acres. It has 4 bedrooms, 5 baths, & 3 half baths along with a theater room, impressive kitchen and white oak floors throughout. From each window, there are incredible views of Williamson County. The property also boasts a beautiful pool, outdoor entertaining area and a stocked pond! Home Description: Must see - 50 level acres with main house, guest apt, caretaker/guest house, 2 barns,1 with 10 Stalls the other with 5 Stalls, sand arena, and more! Gated entry, in-ground pool - nature lovers paradise! Do not enter property without an appointment. Home Description: 6 stall barn 2,160 sqft with 2 wash stalls, feed room and tack room. 1600 sqft utility shed, 2 21x22 run in sheds. 4 plank fencing across the entire property with 6 paddocks. Property backs up to the Harpeth River and Land Trust Property to the right. Home Description: Privately gated signature estate situated on 3 acres (hilltop) in the luxury Laurelbrooke community. Fabulous design, beautiful manicured gardens. Indiana limestone exterior, slate roof, quality throughout. Lots of storage, room to expand. 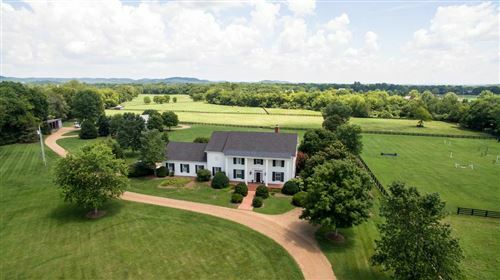 Home Description: 32 Acre Leiper's Fork Estate w/ Gorgeous Views ~ Incredibly well built ~ 4 beds, 5.5 baths ~ Home Theater ~ 4 fireplaces ~ NEW HVAC units & Water Heaters ~ Barn ~ Walk in Storage ~ Elevator ~ Includes 17 acres deeded separately & perked for 5 bedroom home ~ In Law Quarters ~ Over 3200 sqft porches / outdoor living ~ Walk out Terrace ~ Bring Horses! Home Description: New kitchen in this historic, landmark home. Completely renovated and updated with integrity in mind. "Meeting of the Waters" is truly an exceptional piece of Tennessee history! Home Description: Secluded dead end setting off Peytonsville Rd., 7 miles downtown Franklin, &lt;15 minutes to Concord Road, Log home built from logs/stone of multiple log structures, 2 stone fireplaces, Second home also, 2 acre pond, old growth timber, 18 acres for pasture, orchards, grapes, etc., extensive trails. More info, maps and pictures on our web site. Home Description: P SHEA Design,Tuscan Estate. 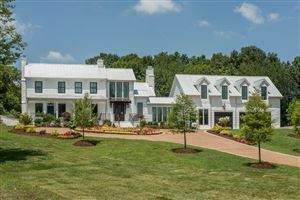 Gated Laurelbrooke.Private.Views.Arches,Curves.Quality.Generous Scale.Livable.Gourmet Kitchen.Expansive Beds w /Closets&Patios.Exquisite Master w/Cupola.Extra-lg Wood Fireplace in 23' GreatRm,Chestnut Ceiling.Pool & Spa.Multi-Sport,artificial turf Train Rm.Seller to verify all information. Home Description: Within the gated, secure & desirable neighborhood of Laurelbrooke.This brick & stone Estate boasts a majestic hillside setting. Covered porch & terrace for entertaining.Country Club size pool & spa w/water feature. Elaborate finish details.5 car garage. Home Description: Welcome to the Historic Leipers Fork. 60 acres in the heart of Leipers Fork. Breathtaking 4-acre lake. A RARE opportunity. Bring your ideas & builder and build your dream home. Prime property with beautiful body of water. Home Description: Coming back on the market 7/6. Call agent for more information. Home Description: With Eight acres of gently rolling landscapes and amazing views. This home is as luxurious as it is relaxed and comfortable and features a stunning two-story foyer with sweeping staircase and balcony, Huge family room with fireplace, Five large bedrooms, a huge finished basement, and an elevator that goes to all three floors. Home Description: Brighton Villa by Classic Design Homes w/ endless possibilities for Families & Entertainers-Spacious & Grand w/ Lux Appointments.Privacy-Backs to Mature Woodlands. High ceilings. Wide halls. Flex space on 3 levels.Elev.Pool.HotTub.Media.Exercise.Office space w/ sep Entry.Bonus Rms.In-Law qtrs.4 Garage(2 detached)-InvsFense-Gated LaurelBrooke. Home Description: PRIVATE, gated retreat. True Sanctuary. Renovated and expanded brick farmhouse and guest cottage. Barn, garden, trails and hilltop site with view! Home Description: Luxury farmhouse ideally located between Franklin & Leipers Fork. Custom construction. Highest of Quality. 6.16 acres of flat property surrounded by farmland. Call for more details! If you want to Buy a Home, Sell Your Home, Or Invest to Get Rich in Real estate in Franklin, TN please Get Your Home Value Report.